Using two cups and saucers she found at her local thrift store, Aya created a one-of-a-kind tea set. Can't draw? Aya suggests writing a poem or a favorite quote on your dishes instead. 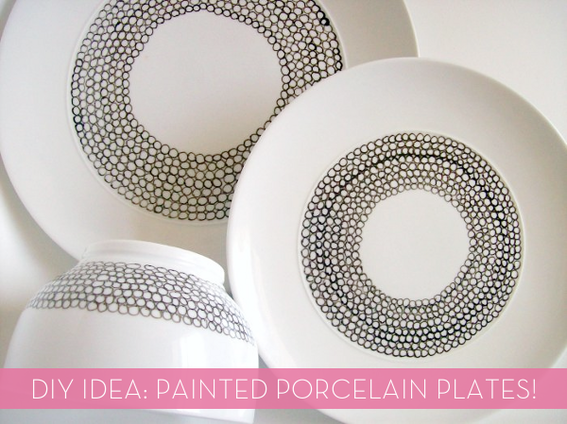 Until I spotted Diane's post on Craftstylish, I had no idea you could actually make porcelain. Sure, you can do the polymer clay route, but this DIY method is so much more awesome. Diane says cold porcelain is the perfect medium to make small objects and jewelry bobbles.